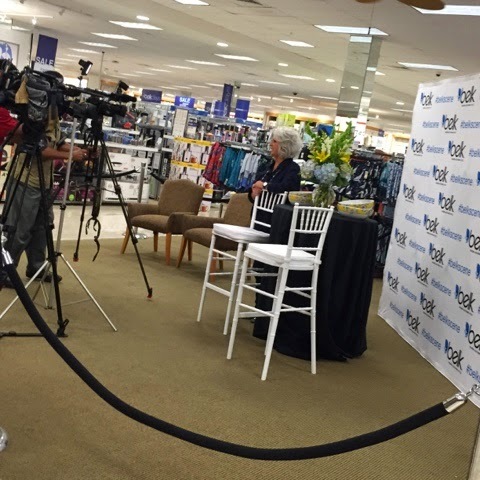 This past Thursday I had the opportunity to work an event for Belk featuring a public appearance with the Paula Deen! I've never met her in person so this was an exciting opportunity. 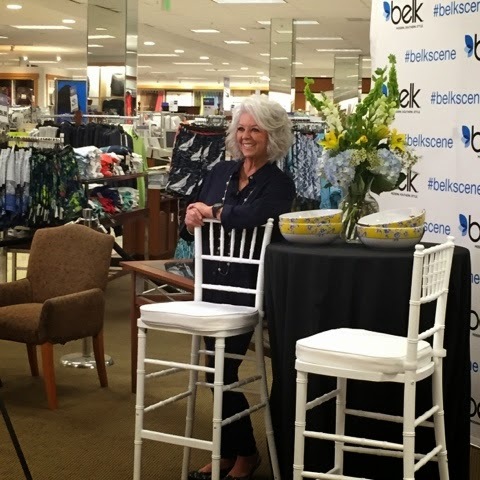 Paula was in to promote the launch of her cookware collection at Belk. I was able to interview her and she was just so sweet! The reception was great and it was overall a very successful night! 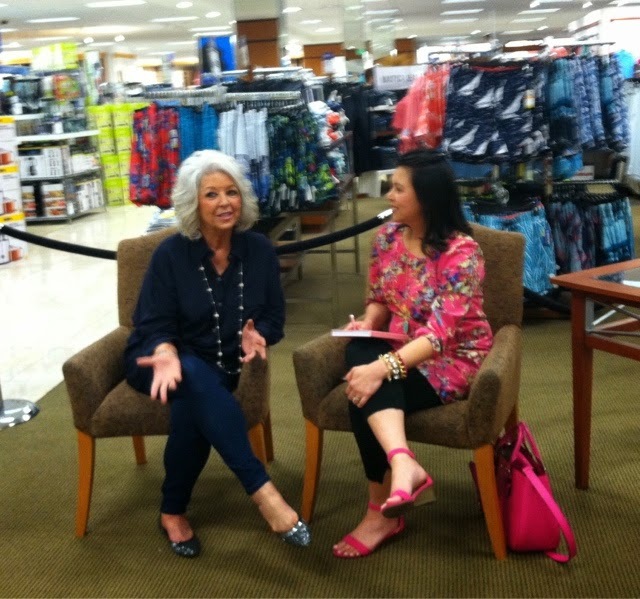 I was able to interview Paula before the meet and greet with fans. It was a super fun opportunity and she was very sweet. 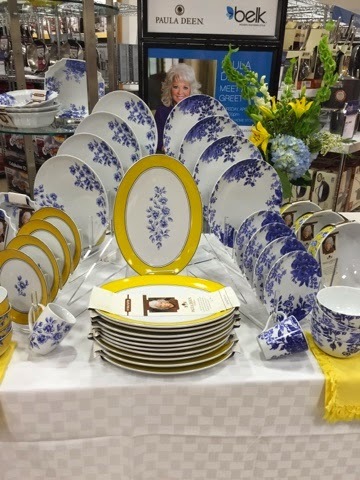 She is releasing a new dog food line and is launching her new restaurant, The Paula Deen Family Kitchen, in Pigeon Forge this week. Be sure to check out her collection at Belk here. In July, it will be released in all Belk department stores. **Belk has provided compensation for this post. However, all thoughts and opinions expressed are my own." Guess what y'all? 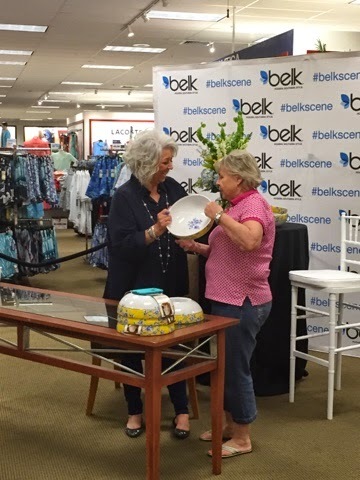 I was invited by Belk to a special evening event with Paula Deen! If you're from the South, you've heard of her! 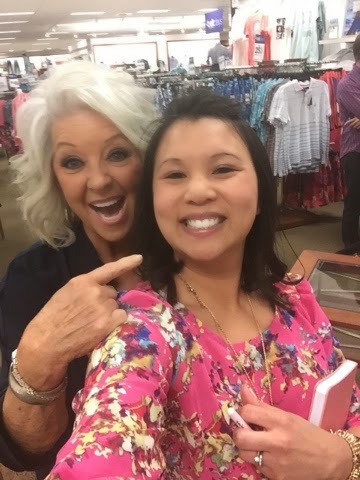 She is a successful entrepreneur that has inspired millions with her famous southern recipes and cooking show! 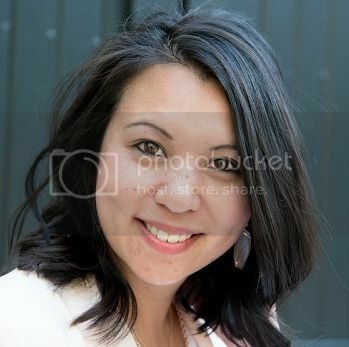 She is a down-home mom who grew her empire from scratch! I've always wanted to meet her in person so I'm super excited! 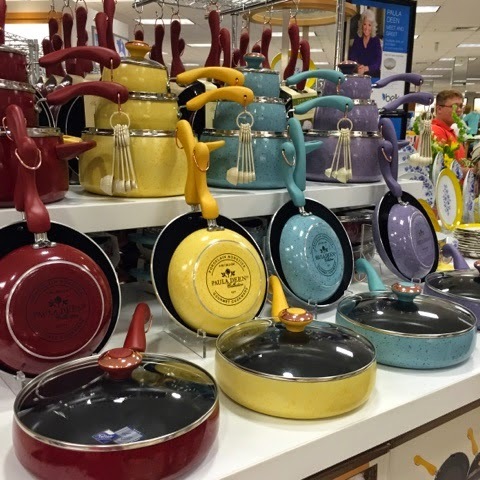 She will be at Belk in the Oglethorpe Mall to present her cookware and tabletop collection. 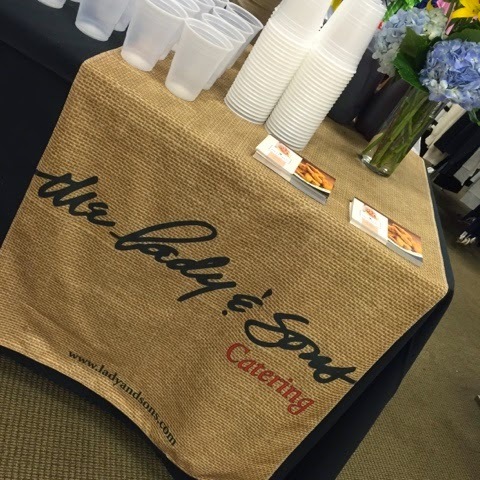 April 2015 marks the launch in 20 stores followed by a full roll-out at all Belk stores this July. 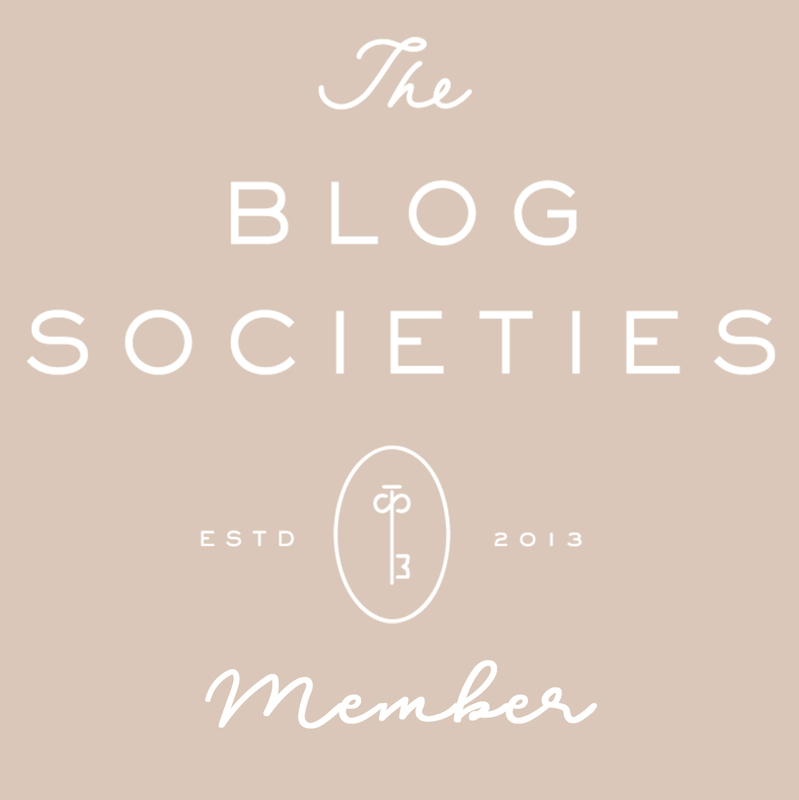 Join in on the fun! 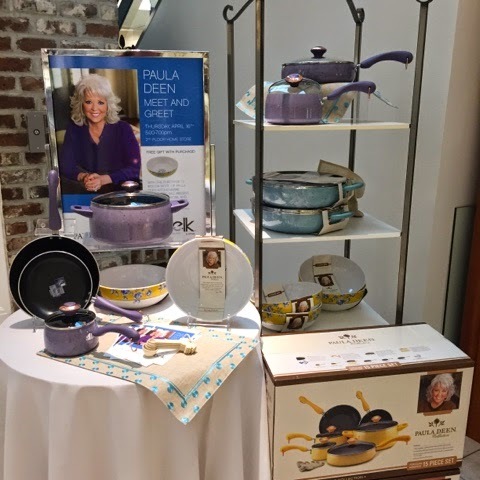 Shoppers will get the opportunity of a meet and greet with Paula and those who make a $100 or more purchase will receive an autographed 10 inch serving bowl ($60 value)! Her famous Lady & Sons Restaurant will be providing biscuits and sweet tea and all event attendees will be given a free recipe card for Paula's southern fried chicken! Follow me on Twitter and Instagram as I'll be providing social coverage. I'll have a unique opportunity to interview her as well so you don't want to miss it! My social handle is @glitterandjuls!